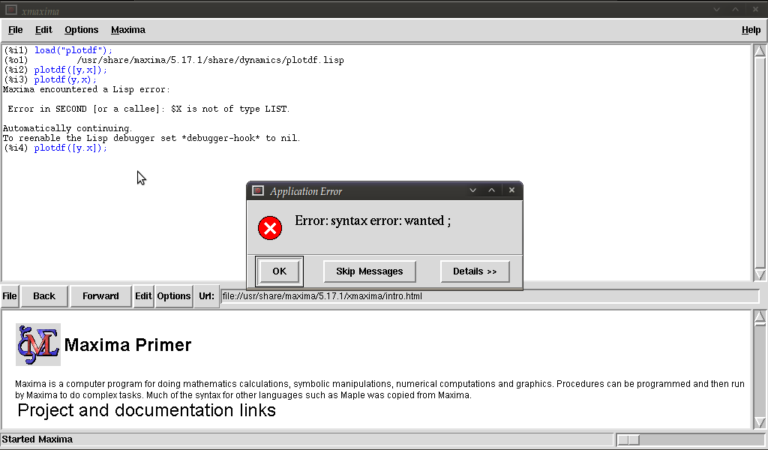 I tried maxima for a while and whenever I was trying to do something “serious”, different from the examples, it was crashing and was giving lisp error messages. In my opinion maxima is good only as a free classroom “toy”. Nice article ! I never knew that Maxima was so capable. It’s probably because of poor documentation that people don’t use it. used this command for other linear ordinary differential equations. 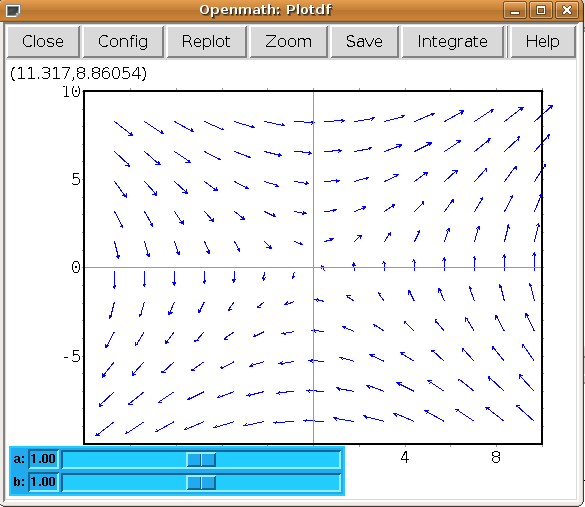 I enjoy visualizing the solution of ordinary differential equations. 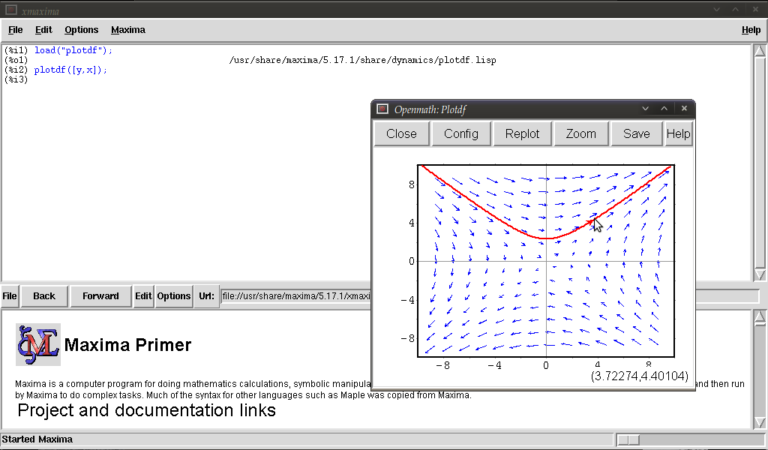 Nice tutorial – if this piques your interest in exploring Maxima for more (recommended! ), this collection of resources may be helpful. 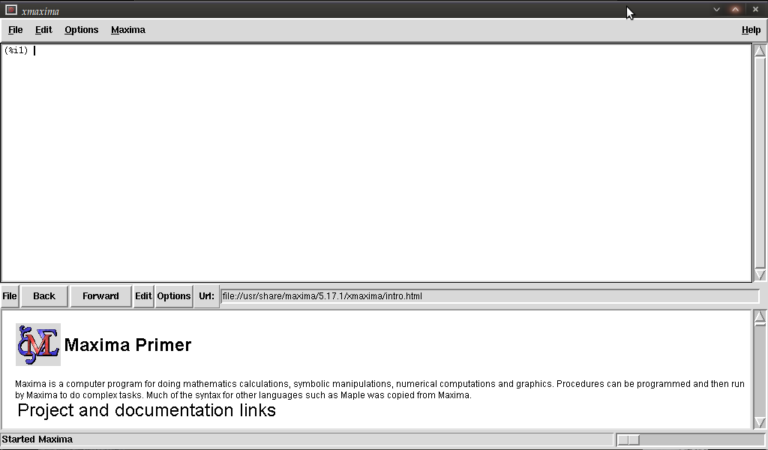 It includes in its listings a Maxima Commands Ready Reference Sheet. 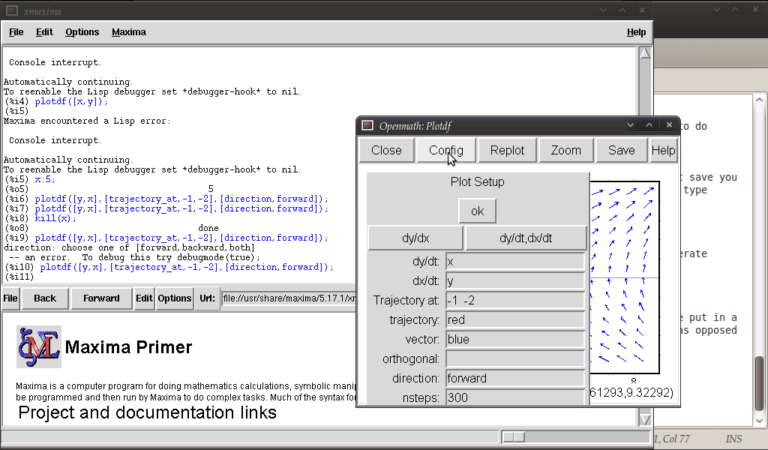 Since you’re using Mathematica extensively at Manchester, you might find the Mathematica / Maxima Syntax Conversion Sheet valuable. If by chance you are using Ubuntu, you should know that Maxima is broken in Ubuntu 9.10 (Karmic), and possibly earlier releases as well. This is due to Ubuntu packaging Maxima incorrectly and is not a problem with Maxima itself. This will be fixed in the next release of Ubuntu, but for people using 9.10, there is a PPA with working Maxima and wxMaxima packages. Opinions are not as useful as facts. I’m sure that if you had a concrete example to share with the the developers (via the mailing list), they would be willing to investigate the problem.